Delaware Attorney: Andrew J. Carmine | Elzufon Austin & Mondell, P.A. Andrew J. Carmine is a Director in the Workers’ Compensation Department. His practice focuses on the representation of employers and insurance carriers. 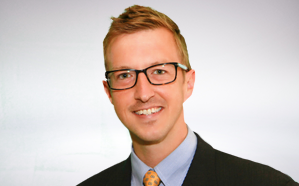 Andrew was admitted to practice law in Delaware in 2007 and in North Carolina in 2012. He is a graduate of North Carolina State University (B.A. 2002) and Widener University School of Law (J.D. 2007). Andrew is a member of the Delaware State Bar Association, the Defense Counsel of Delaware, the American Bar Association, the Randy J. Holland Workers’ Compensation Inn of Court, and the Delaware State Bar Association Workers’ Compensation section where he presently serves as secretary and co-chair of the legislative committee.